Whether you grew up owning one, or regret being born too late for the privilege, lovers of the genre will find the 2011 Dodge Challenger promises the same head-turning good looks and Hemi-powered acceleration as the original. 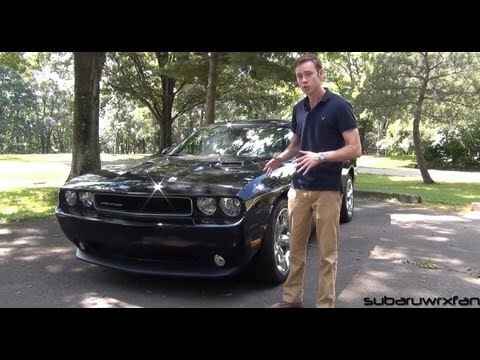 Pros and cons of having a challenger. Does not have features like Bluetooth, it is very standard, it is spacey for a two door and runs smooth. It does use a lot of gas but gas does not drink up fast. It will cause people to always look. I started having major problems after having it 4 years. It is very reliable and comfortable seating. My 7 year car that runs like she's 2 years old. It is a reliable car but it takes a lot of gas. The few problems I had was with the cooling in the summer but once it was fixed it is a good car. Easy to park and enough room for multiple people and belongings. Even though its a 7 year old car it can defiantly keep up with the new models. I would recommend the challenger to anyone with a taste for American muscle. Beautiful car that will draw looks and compliments alike. I have had some mechanical issues and a recall on the airbag but nothing major. Big vehicle with blind spots but it drives great on the open road.